Let’s talk about summer work outfits for women over 40. We all have missed work outfit inspiration, am I right? 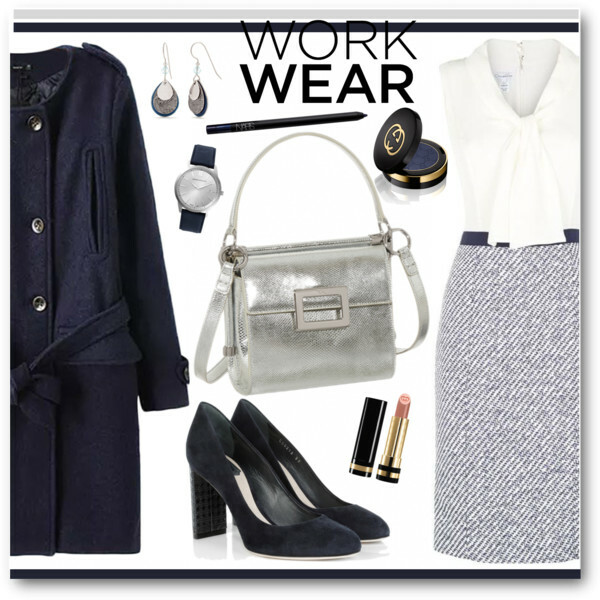 I personally think that work outfits are very helpful for creating a very special look for wearing from Mondays to Fridays. A crispy white shirt can be tucked in a black pencil skirt. Complete this classic combo by adding a pink scarf, pink belt, matching color pointed-toe pumps and glossy light pink handbag. In this collection are shown interesting ideas, featuring tailored blazers worn atop lightweight blouses tucked in ankle-length slim trousers, slim dresses completed with chic heels, printed skirts and bright tops, dark color skinnies worn with mid-heel shoes and classic shirts, etc. The thing is, you can risk and buy new stuff, but what I do recommend you is to rediscover your old favorites and refresh your wardrobe by combining old with new pieces. Even the most boring outfit can be updated with something statement and chic, like a pair of bold shoes or eye-catching jewelry. Figuring out what to wear to the office to look professional and appropriate is a challenge, that’s why I want to show you some of my favorite looks you all can copy this year. Scroll down to find out more and let me know your thoughts in the comments below.